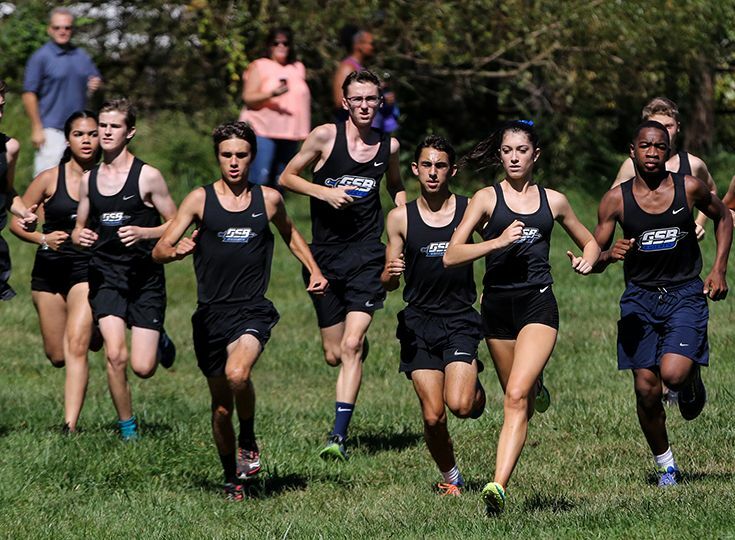 The Gill St. Bernard’s cross country teams return to the course this fall, optimistic and looking to improve on last year's season. Eve Campeau returns to Gill for her second stint as head coach of the cross country programs. In 2016, she helped lead the girls’ team to the Mountain Division title, and the boys finished second in the division. The girls’ squad will be without recent graduate Nicole Johnson '18, who was selected first team all-conference and all-Prep-B during her senior season last fall. The team will look to sophomore Lucy Antonius and a group of strong juniors and seniors to set the pace this year. "I am really looking to untap great potential," explains Campeau. "I want to send a full, strong squad to line up every meet. I am excited because it is a young squad and there will be a lot of youth excitement." On the boys’ side, Campeau will have a few all-conference performers returning to help bolster her lineup. Juniors Teddy Lazar and Niels Rongen were each named all-conference and all-Prep-B last season, and Campeau is also looking to senior Matt D’Ovidio to help lead the team as well. Campeau, who has an extensive background in international marathons and triathlons, knows that having the team stay healthy and on the course will be essential in keeping up the positivity within the program. "The main goal is to keep the kids healthy, get them fit and keep them injury free as much as possible," Campeau offers. "We are just going to keep moving in a positive direction. This season is a clean slate, we are going to always look forward and that is what is so exciting about this year." If the program can do those things, Knights fans will see an exciting and successful season.